Streaming audio service Spotify announced the return of its RapCaviar Pantheon and is slated to honor four of the today’s biggest hip-hop influencers with life-sized sculptures in an artistic installation. The second group of artists for the 2019 event will include Cardi B, Jaden Smith, Juice WRLD and Gunna. Emulating the ancient Greeks, each of their likenesses will be captured in statues and displayed in a pantheon exhibit at New York’s Brooklyn Museum. 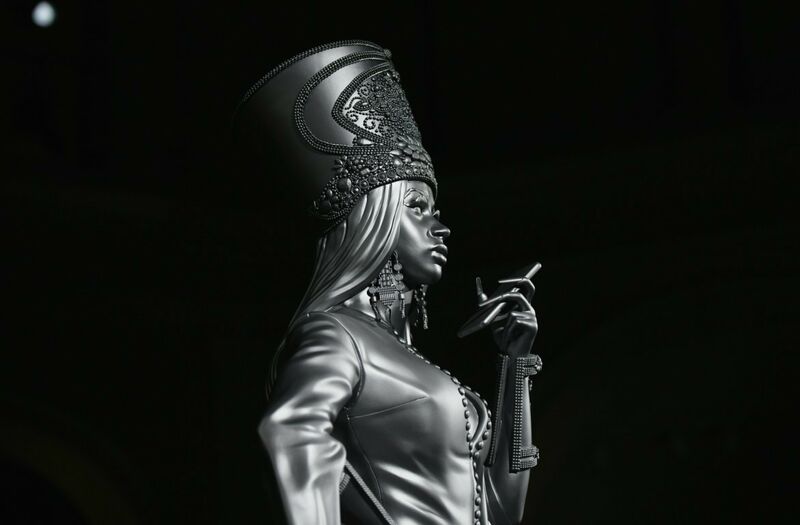 Spotify unveiled its first RapCaviar Pantheon in 2017 with sculptures of 21 Savage, SZA and Metro Boomin. The Pantheon was created by Spotify’s in-house team to honor artists in the hip hop genre who continue to shape the music and the culture. The company says the event symbolizes how heroes of antiquity were celebrated by creating structures made from stone, marble or bronze in “positions that embodied their achievements.” The 2019 inductees will have their images rendered in a life-size structure that symbolizes their artistic innovations and their personalities. When it comes to Grammy-winning rapper Cardi B, she is rendered with an African hat on her head that mirrors the one Queen Latifah sported in the 80s, as she holds a cellphone, which they say is because “this past year, Cardi owned the cultural conversation, and the phone in her sculpture is a nod to her influence going beyond music.” Spotify says Cardi B as one of the most important artists in pop culture as she has become the first female solo rapper to win a Grammy. Each of the sculptures will be displayed at the Brooklyn Museum from April 3-7.